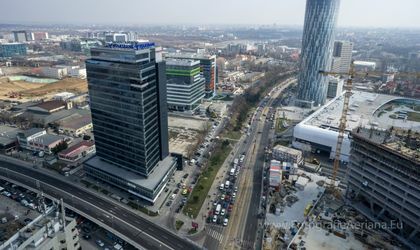 The number of employees in Bucharest reached 1,018,213 people at the end of November 2018, up from 993,740 in the same period of 2017, according to the data provided by the National Institute of Statistics (INS). Gross average wages in November reached RON 5,942, compared to RON 4,408 in November 2017, while the average net wage stood at RON 3,552 (RON 3,164 in the same period of 2017). As for unemployment, there were 15,776 unemployed individuals at the end of November – 2,567 fewer than in the same period of the previous year, with a 1.3 percent unemployment rate (1.5 percent among women). The number of pensioners in Bucharest was 484,429 in November 2018 and the average pension reached RON 1,503.